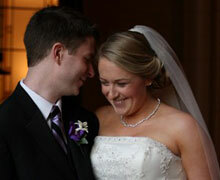 Planning a wedding can be complicated, costly, and time consuming. With the demanding careers and personal schedules of today’s couples, Encounters support is an invaluable asset. Our professional approach is not to dictate, but to skillfully lead you towards a unique plan of your own. Encounters will meet with you to determine your vision, style and budget. This will allow us to develop your ideas and offer suggestions based on classic and current trends. 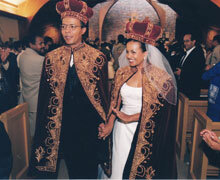 Our knowledge and expertise will guide you through every step of the wedding planning process. Encounters consulting assistance will also enable you to make educated and cost appropriate decisions regarding vendor services and personal tasks. We will be on site to coordinate your rehearsal, ceremony and reception. Our timeline management and attention to detail will ensure each element is successfully executed as planned. Additionally, vendors will rely on us for direction so you can enjoy your day without interruption. Encounters will produce the worry- free and memorable wedding celebration you have always imagined! "From the start, I've been so impressed with your work ethic and your passion for making beautiful events. I wholeheartedly trusted you with the most important event of my life and you never failed me." Assisting with ceremony and reception venue selection. Creating and providing you with budget and timeline schedules. Assisting in wedding theme or design development. Researching and recommending quality vendors fitting your needs and budget.